Polaris Hiring for BE, B.Tech Freshers in Mumbai – June 2014. 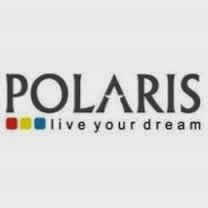 Polaris Job Openings in Mumbai for freshers. Only BE, B.Tech freshers are eligible to apply online for this position. Interested and Eligible candidates can apply online through the below provided link. Online Aptitude Test (Similar to MBA CET, Total 50 marks, 60% passing, questions will be on Logic, Maths and English).